< 11 units - 24 Hours (1 working day) after artwork proof sign off. < 31 units - 48 Hours (2 working days) after artwork proof sign off. 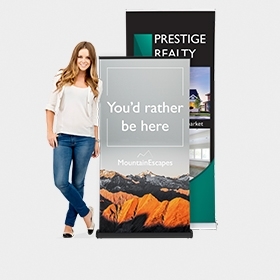 Our X Banner Stand is the perfect low cost display stand. 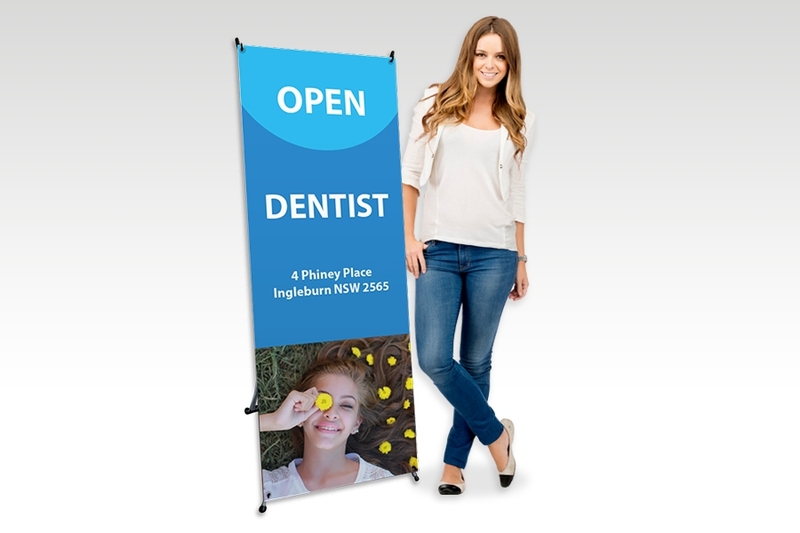 It is ideal for those customers who would like to change the banner regularly, as it takes seconds to remove the existing banner and attach a new one. 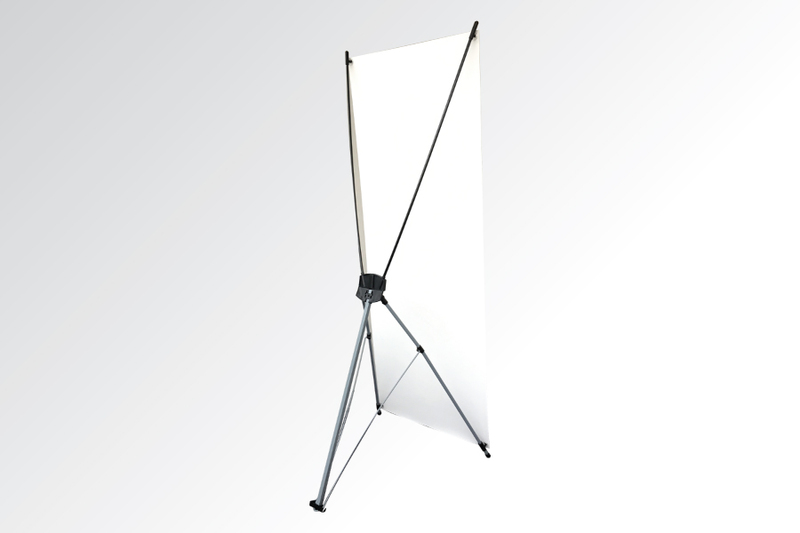 The stand has a white plastic frame and comes complete with a carry pouch. 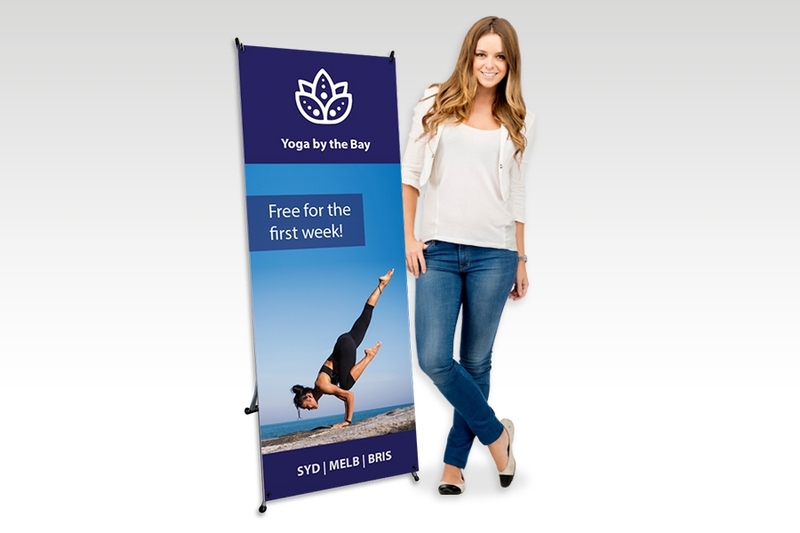 It is supplied with an ultra smooth 210um polyester banner with full colour digital print. 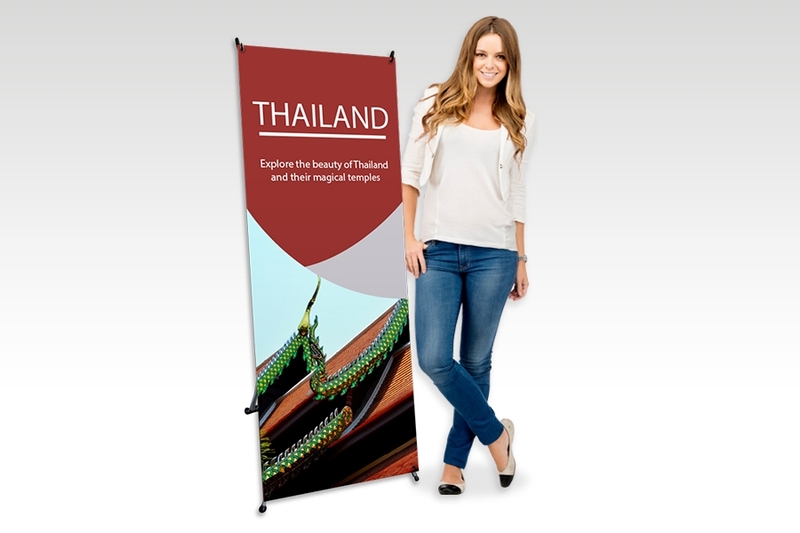 Light weight strong black plastic frame, perfect for travelling! 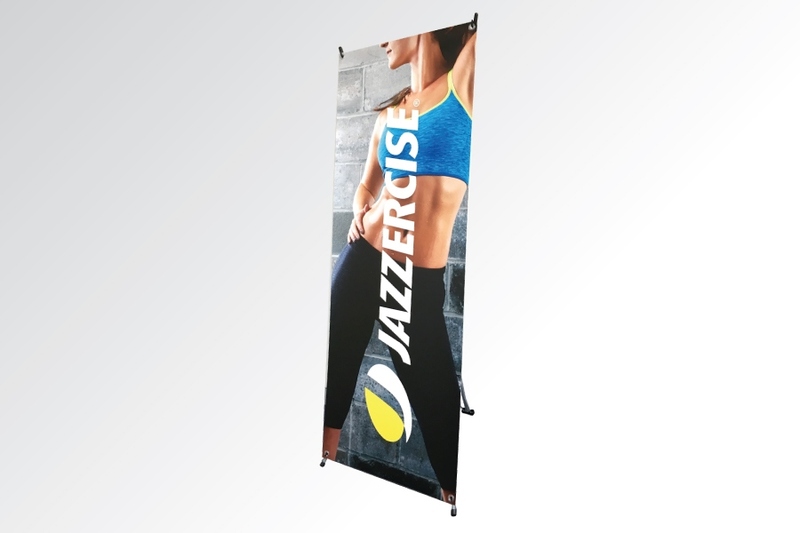 You can order replacement banners for your X Banner Stands on this page. 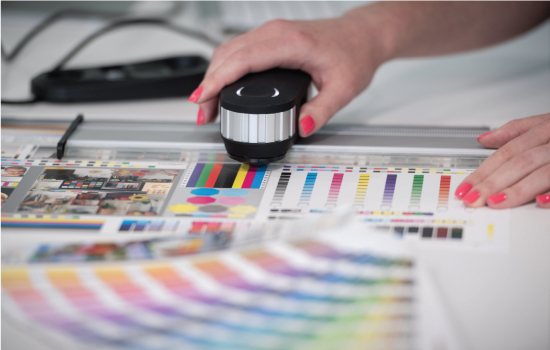 Check our pricing using the instant pricing calculator above. How do I set up the X Banner stand? 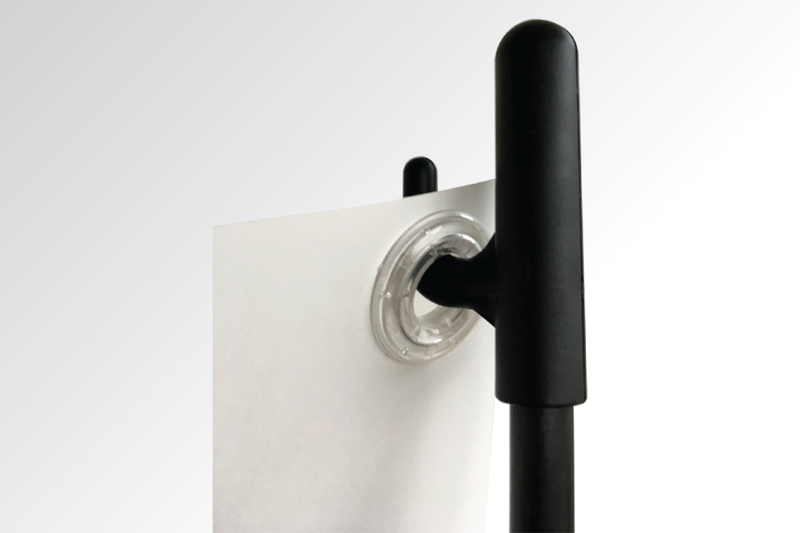 You simply pull out the 5 legs of the X Banner stand - and attach the banner through the eyelets in each corner. How do I change the banner in the X Banner stand? 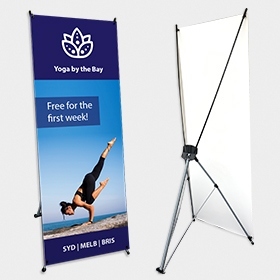 You simply remove the original banner and attach the new one to the stand with the 4 eyelets in the banner. It only takes 30 seconds to change over. 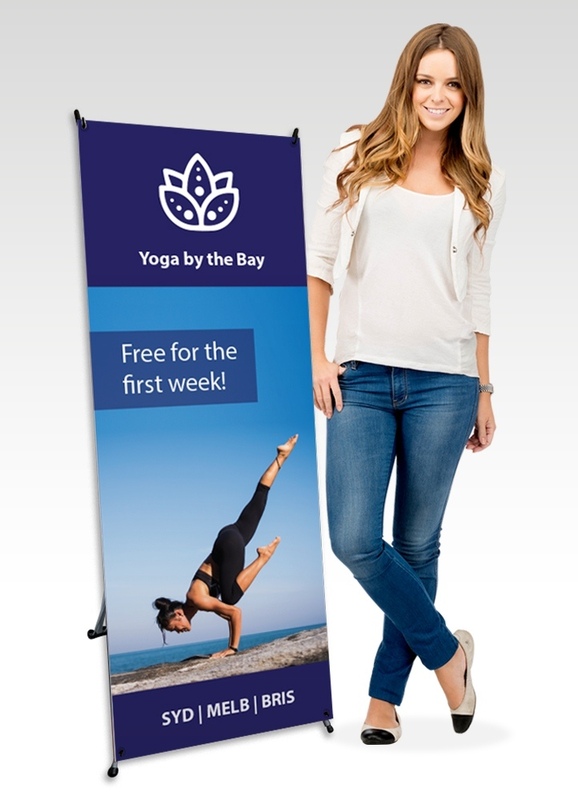 Can I use the X Banner stand outdoors? 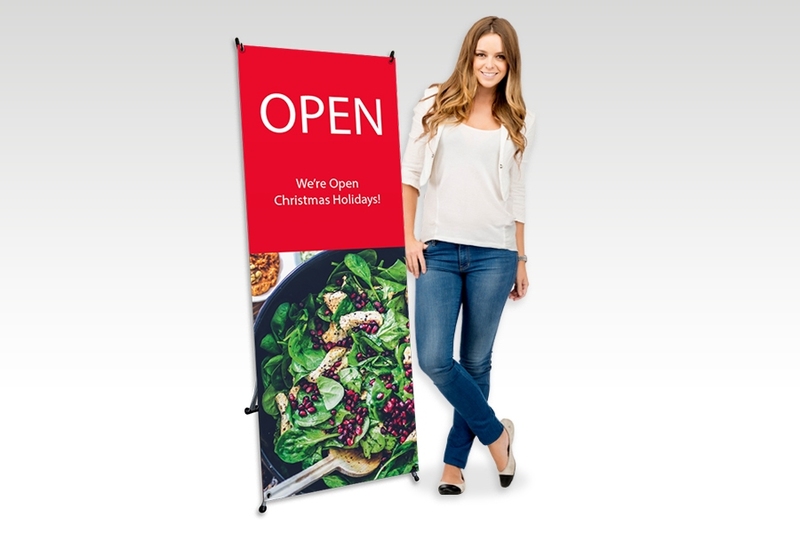 The X Banner stand is weather resistant however we recommend it for indoor use. Can I buy new banners and change them myself? 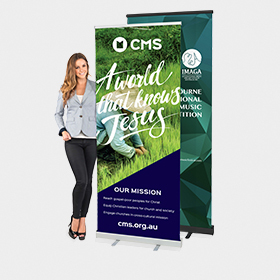 Yes you can buy the new banners on this page - simply select “Replacement Full Colour Banner (1600mm H x 600mm W)” as the product in the instant pricing calculator, enter your quantity and calculate your price. Once you receive the replacement banner you simply remove the original banner and attach the new one. It only takes 30 seconds to change over. Why are clear eyelets better than the old metal eyelets? Clear eyelets are the latest in eyelet technology. The old metal eyelets would block the graphic on your sign and be very noticeable - but you can see straight through the clear eyelets. 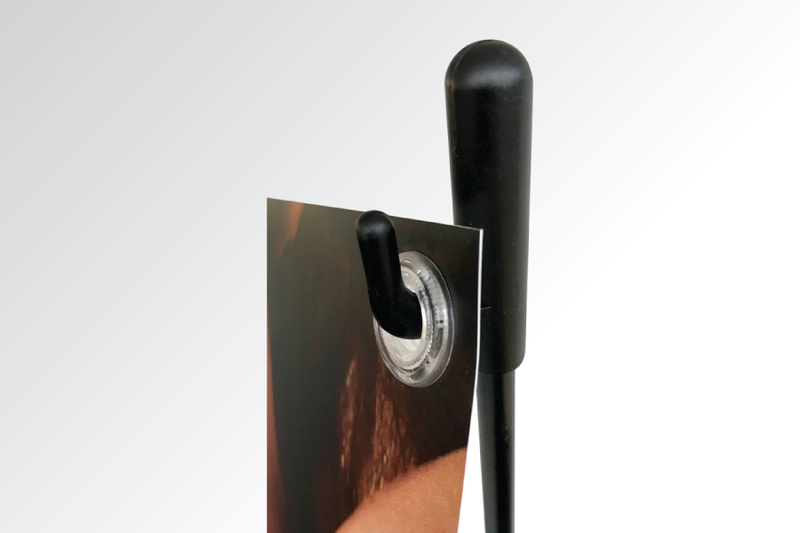 This allows you to see more of your graphic on the sign as the clear eyelets are barely noticeable. The clear eyelets are also just as strong as the metal eyelets but will not rust. The signs look significantly better with the clear eyelets. 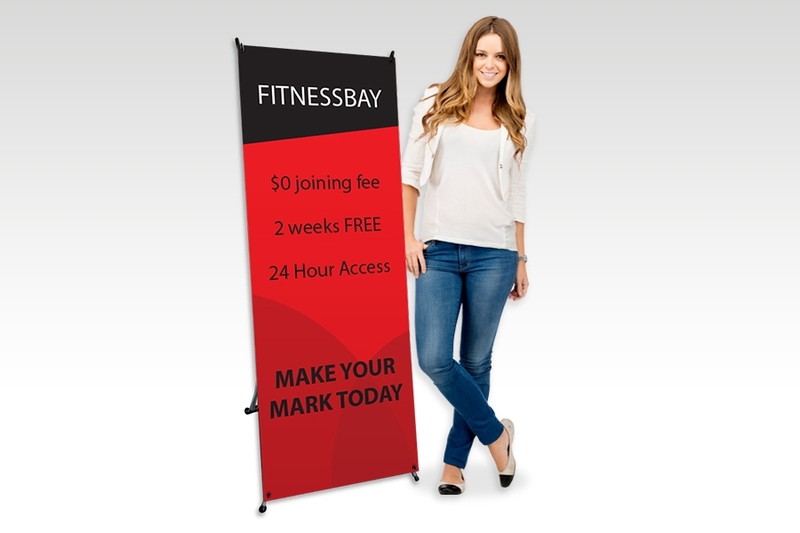 Will your replacement banners fit other models of X Banner Stands? 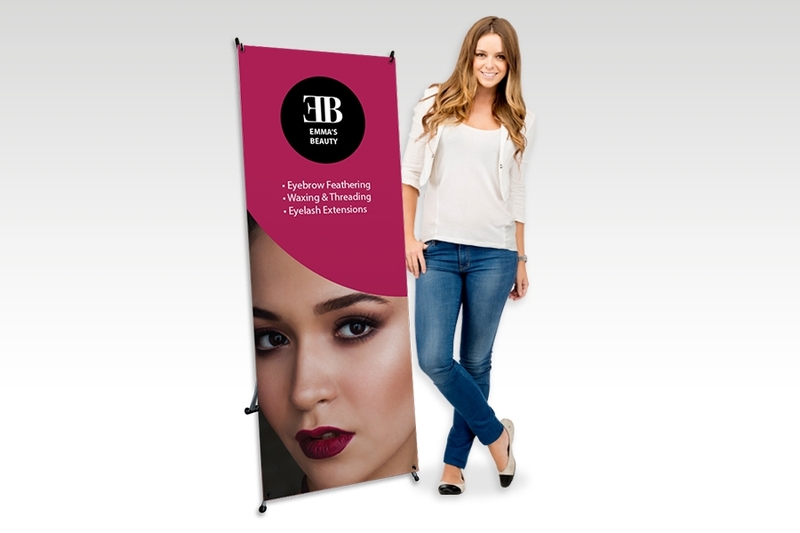 Our Replacement banner should fit other models which use exactly the same size banners as our banners. 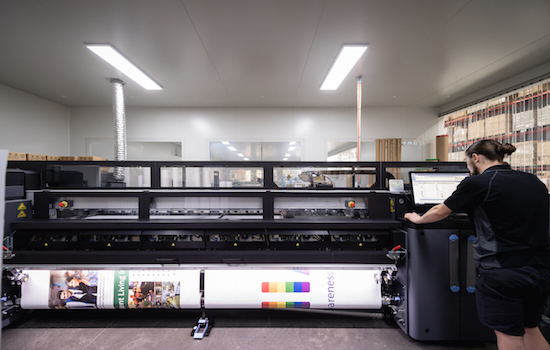 How long will it take to produce an X-Frame Banner order?